My initial plan for the day road trip was, take a local country road after few miles of highway driving. The plan had changed while I was driving on the Interstate 22, the road condition is one of the best. 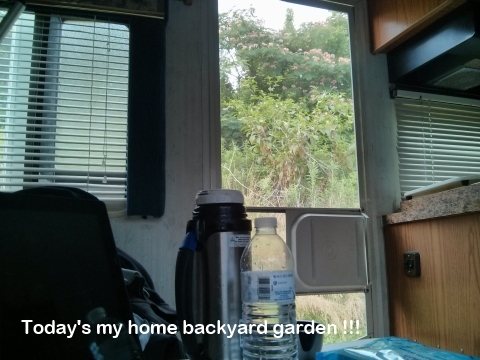 And the both side of the freeway is protected with trees, therefore, no side-winds (my rv seems very weak at the side wind attack) and fresh air; no air conditioning required - but needed sometime as the weather was hot and humid. 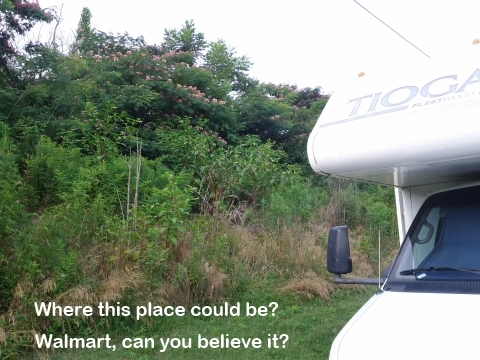 For few hours driving, I only see the trees at the both side of Interstate 22. Trees and trees, silky road condition, and very few traffics; it was a very comfort driving. 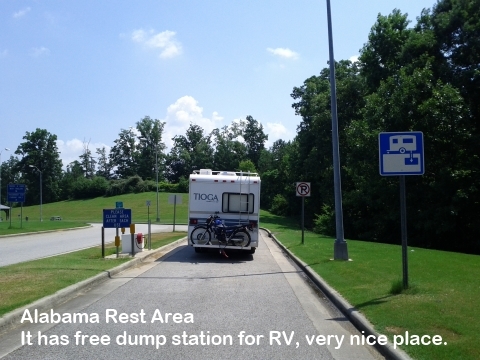 One thing that I really wanted was the rest area, nope, there is none throughout the road; just few town signs for the fuel and food. 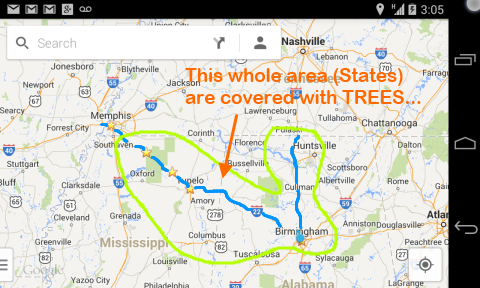 Wonder if whole states; Mississippi and Alabama, are covered with trees? 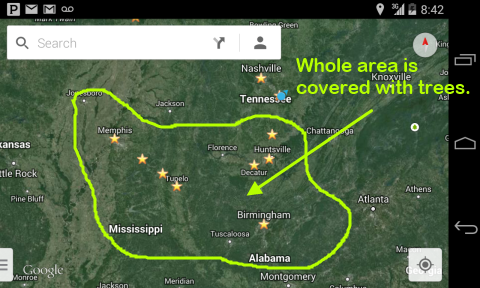 Yes, all the land is covered with trees, as I checked with Google Satellite mode; almost of all lands are dark green color.